Add ingredients to a bowl and blend [with your hands] to combine. 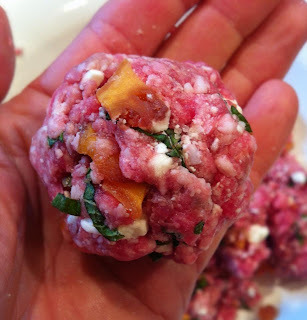 Meat can be formed into burgers, meatballs, or mini burgers. Use an ice cream scoop or melon baller for uniform patties/balls. Heat a heavy-bottom pan to medium-high. DO NOT oil your pan, the lamb likely has enough fat as is. Transfer patties to the pan and cook until browned (about 2-3 minutes, depending on size). Flip and continue to cook until burgers reach desired doneness. Remove from pan and left rest 1-minute. Serve atop Arugula (or other greens) tossed with THIS dressing or other citrus-based vinaigrette and sprinkle with garnish (recipe below). Grind in a food processor, until finely chopped. Stumbled upon your blog looking for other Paleo bloggers. I'm slowly getting into it but having to make some tweaks because I eat kosher too. Love your blog. 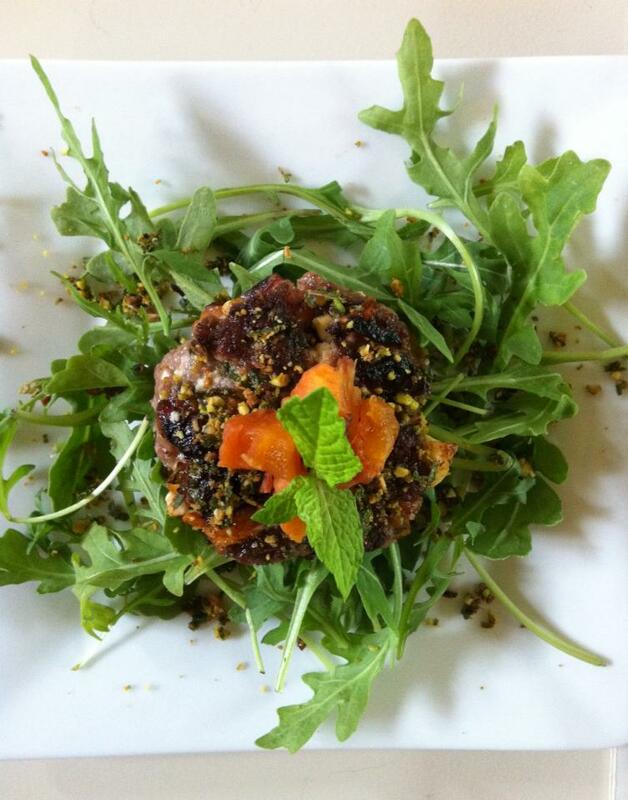 Great experiments and glad you love Elana's Pantry too!! Just wanted to let you know these are AMAZING! Thank you for the recipe!! I can't wait to make them again. Oh, why must the best-tasty things be so expensive!! My husband is a pistachio hound and I am a fiend for the baby sheep, but, ye gods, the prices!!! I'm making this next week. This was fantastic, thanks for sharing!